This Sport Windbreaker is on sale for only $11.98 (originally $39.95) as part of the deal on sports apparel. You save $27.97! That’s 70%! 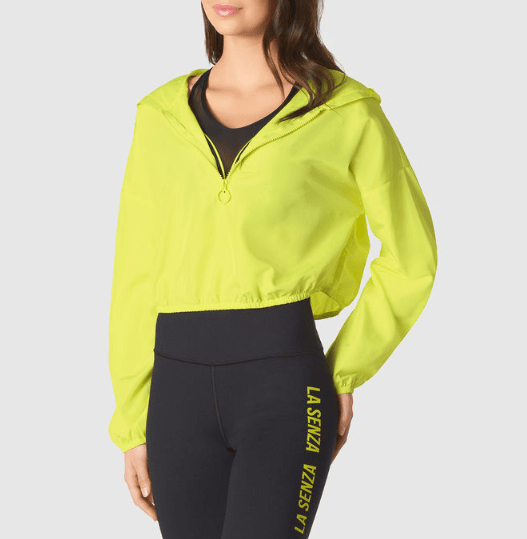 Workout in style with this windbreaker! With a relaxed fit that pairs perfect with our leggings for a sporty look. Lightweight material. Half zip. Full length. Long sleeves. Model is wearing size small. Imported polyester. La Senza is offering free shipping for only $75+.